Leverage the power of your customers to sell your products through these affiliate marketing tools. 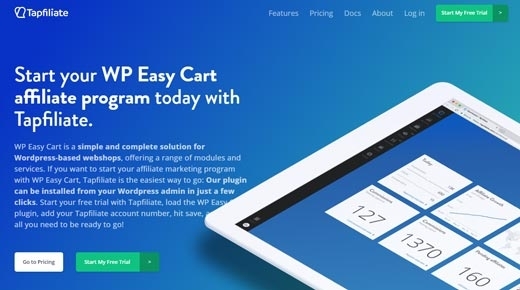 In this newsletter, want to introduce you to three well constructed Affiliate programs that you can use in your WordPress EasyCart website. Affiliate programs allow customers to become sales marketeers for your business. They often get a custom URL to track their visitors, and can post their custom URL on social media, email campaigns, and other sources. In return, they get a portion of sales, typically 5-30% of a sale. How do these Affiliate Programs know a sale is made? By using various method such as cookies and sessions, these programs will recognize any visitors coming from their special affiliate tracking URL and automatically record them when an EasyCart order is processed. Affiliates get credit IF the user came from one of their links. Is it worth it to run Affiliate Marketing? This highly depends on your business model, but having users selling your product can never be a bad thing. If you have a great product, and customers want to sell your product, affiliate marketing tools as these make it very easy to track, record, and payout these individuals. This is a brand new affiliate program we just learned about and do not have a lot of experience with, but is shaping up to be a nice platform with active development. 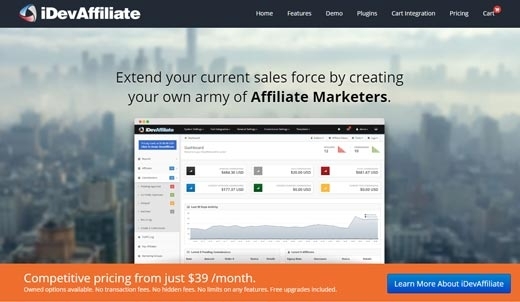 iDevAffiliate has been a go-to professional grade affiliate system that houses it's own management console and interface. It offers great reporting, feature set, and powerful tracking capabilities within. 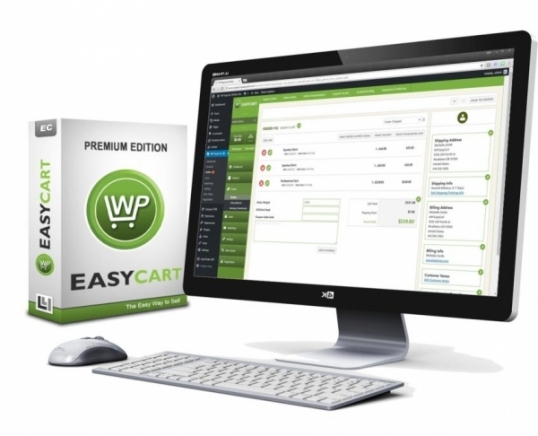 It does use it's own web interface rather than WordPress admin, but integrates with WP EasyCart well. 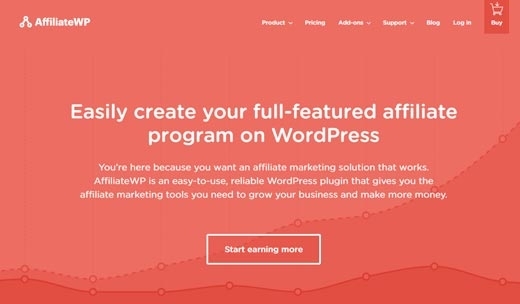 AffiliateWP is a popular choice for affiliate software because the management console interfaces directly into your WordPress. 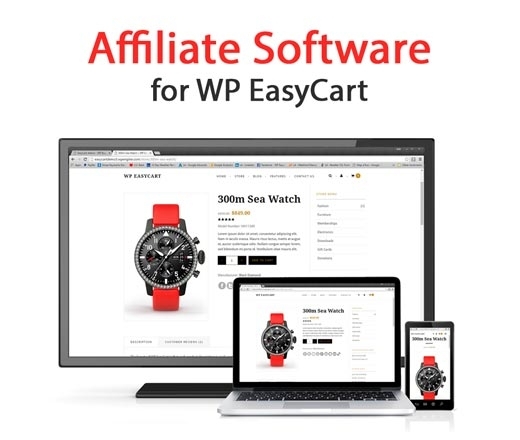 This makes it easy to offer Affiliate systems on your site AND check reporting or WP EasyCart orders all in one location as a business. No need for a separate website to remember, just log into your WordPress and go! Get started with the Professional or Premium Edition and harness the most advanced eCommerce system for WordPress. For as low as .19 cents a day, or $5.75 a month, you can start selling your products inside your own WordPress website today.